I lied yesterday. I don’t feel like writing about chocolate today. I want to write about marshmallows. 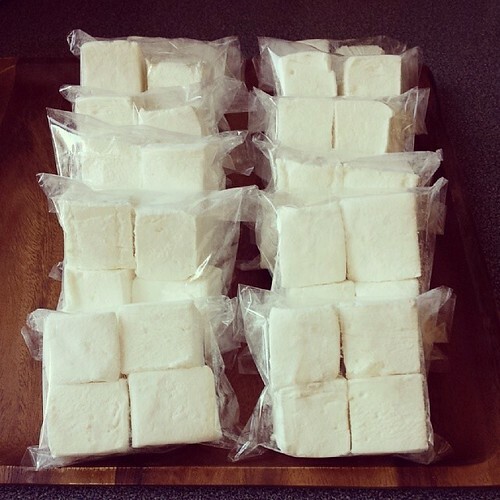 Since my first batch of homemade matcha kinako marshmallows, I made more, many many more. I feel like I am compensating for years of longing and neglect. 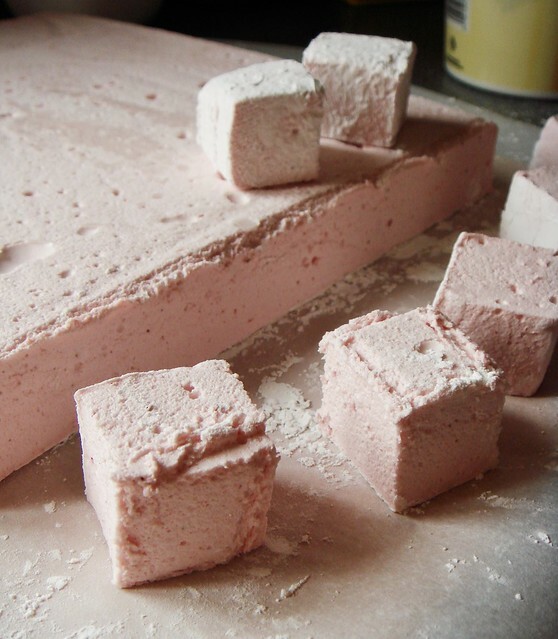 Finally, I am not paying ridiculous amount of money for handmade marshmallows! It costs next to nothing to make at home and I get a large batch every time. I don’t recall a day since February when my house runs out of marshmallows. I’m in heaven. Interestingly enough, I haven’t made any vanilla marshmallows even though that is most likely what I buy from stores. You know, the ones with fancy little specks of vanilla beans. I love the blank canvas of my homemade version and I took the opportunity to create a rainbow of pastel colours and delicate flavours. The pale green matcha kinako was followed quickly by fiery fresh ginger, fruity marionberry, citrusy yuzu, and sweet strawberry with a touch of orange flower water. I learned early on that rapping the pan violently on the counter to rid of big bubbles is a stupid idea. Not only did I eliminate big pockets of air, I destroyed the fluffy texture effectively too. I learned that I prefer the fluffy version achieved with whipped egg whites over the creamier version by using gelatin alone. I found out that lining the pan with greased foil took away much of the stress during unmoulding. I discovered that I get about 8 clean cuts out of my slightly greased knife before the blade becomes too sticky to work with. But the best discovery came when I had a bit of leftover tempered dark chocolate from another project. I could have put the extra chocolate away for another use but the box of yuzu marshmallows on the counter caught my attention. I had nine pieces left in the box and quickly dunked them all into the bowl of dark chocolate. 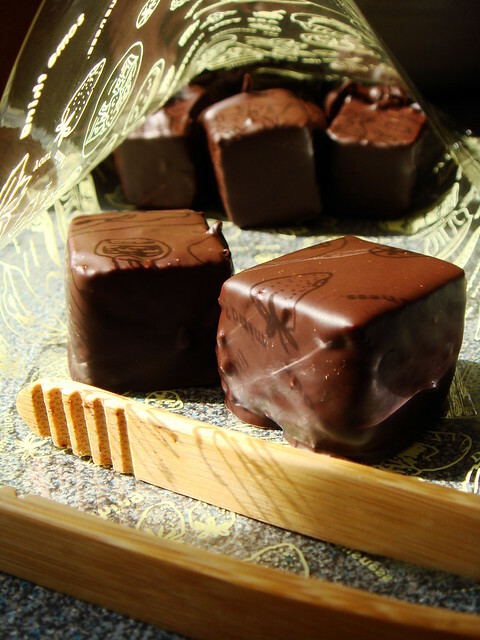 They looked like glossy chocolate ice cubes with the most luxurious centre. Soon after that photo was taken, I made another fresh batch of marshmallows, in case I have more tempered chocolate next time. It’s good to be prepared, you know?